Four weeks worth of homework (Monday through Thursday) and a weekly test. Answers included. 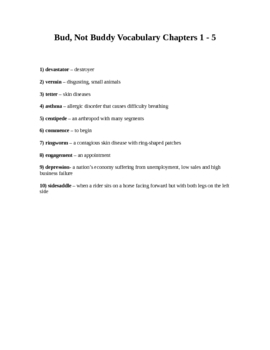 Each week consists of ten vocabulary words (along with definitions) that pertain to Bud Not Buddy by Christopher Paul Curtis.